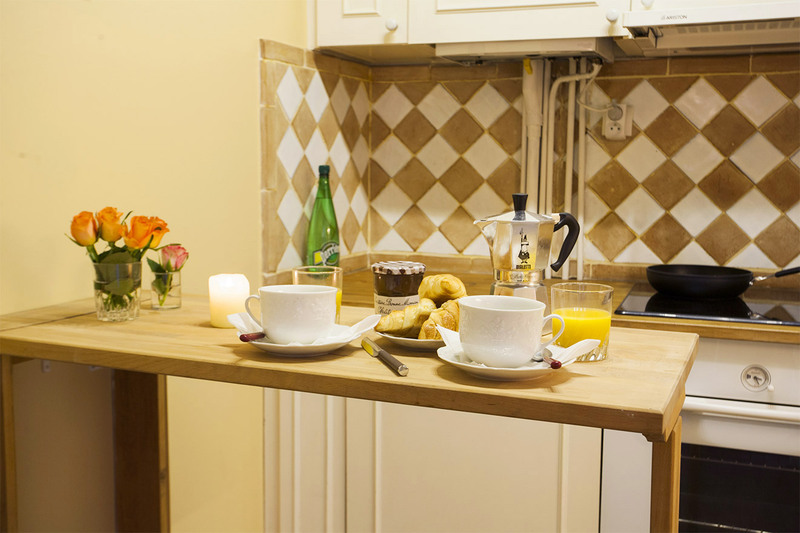 "I would jump at the chance to stay with Paris Perfect at the Dolcetto apartment again. It was wonderful in every way. Paris Perfect was incredibly helpful in making our travel a success, from sending..."
"As usual, Paris Perfect hit it out of the park! Dolcetto was a great place to stay! Charming, quaint, comfortable. 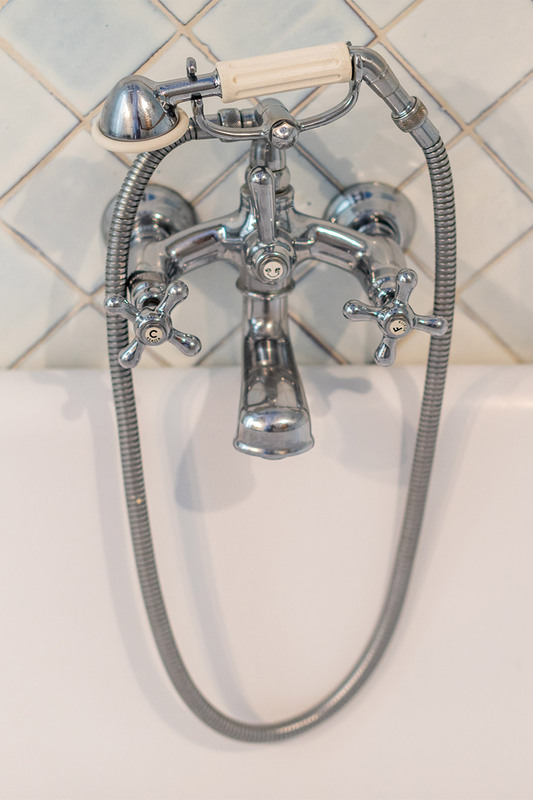 We were a little apprehensive that there was no stand-up shower in the bathroom..."
"Very perfect. The apt even had an open fireplace which I absolutely made the most of. Most of the time I was alone with so much room, so many sofas, chairs. 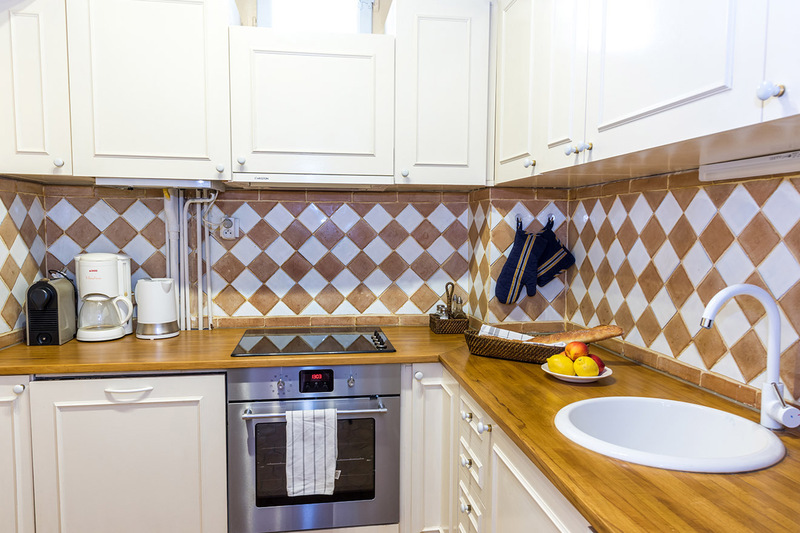 The kitchen is large enough to cook up a..."
"We chose this property for 3 ladies traveling together. The beds were comfortable, and the size of the apartment was perfect. The apartment is clean and will not disappoint. 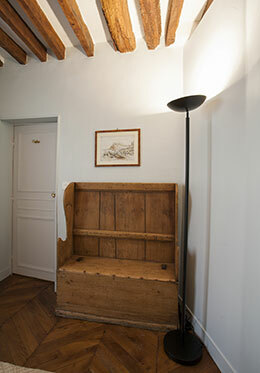 It is well equipped and..."
"I really enjoyed staying in the apartment on Rue du Dolcetto. It was a lovely place to come back to after a long day of exploring. 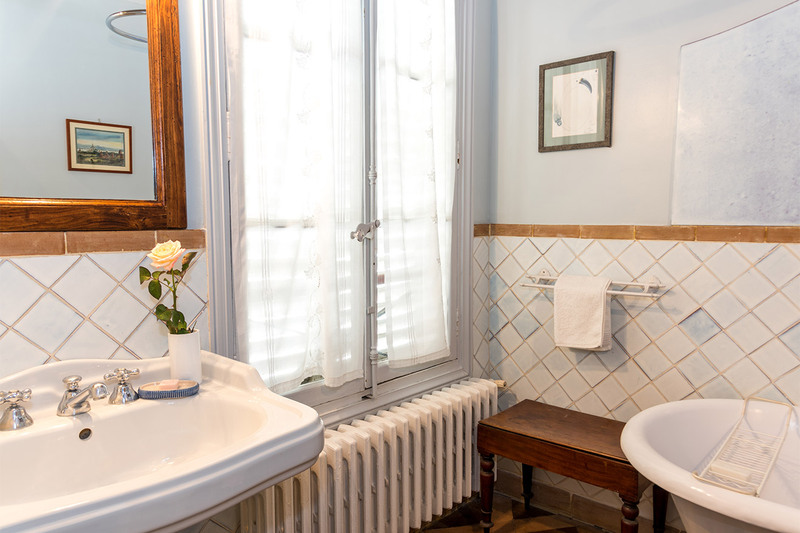 The furniture was tasteful and very comfortable and there was enough..."
Step back in time to an age of refined elegance at the Dolcetto, a stunning one bedroom, one bathroom vacation rental with an enviable location in the chic Saint Germain neighbrhood. The building survived the grand urban planning of 19th century Paris and has maintained its medieval charm blended with a stylish ambiance. 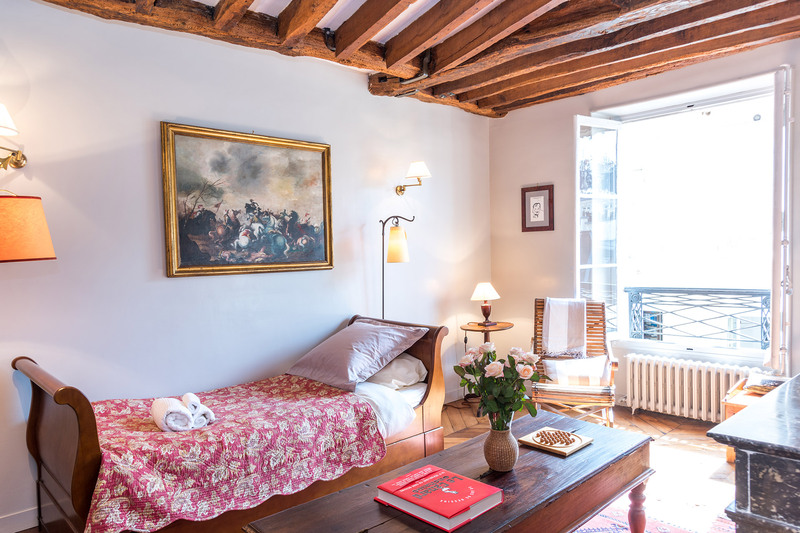 Stroll along the street lined with buildings from the 17th to 18th centuries to the entrance of the building where this vacation rental is set on the 4th floor (5th floor American). 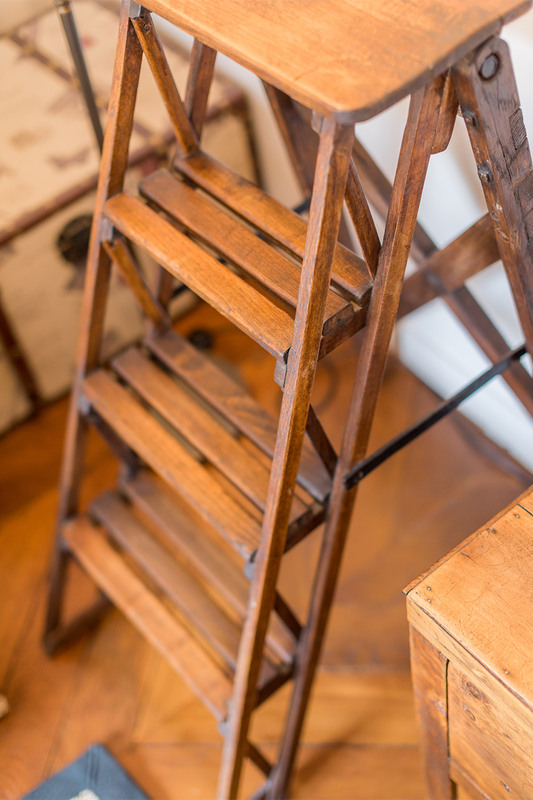 You can enjoy the historic setting without worrying about the stairs since this building conveniently has an elevator! 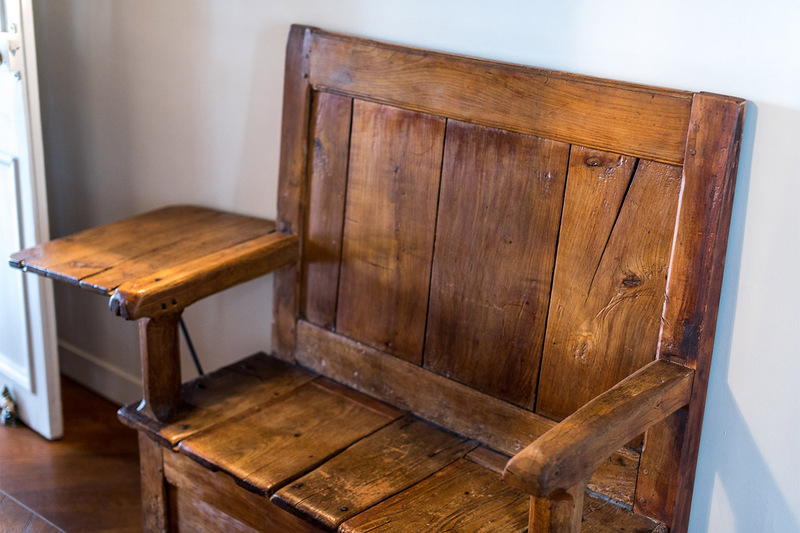 Beautifully decorated and finely appointed, the décor at the Dolcetto perfectly complements the original stone walls, gorgeous wooden beams and other historic features that have been lovingly preserved. 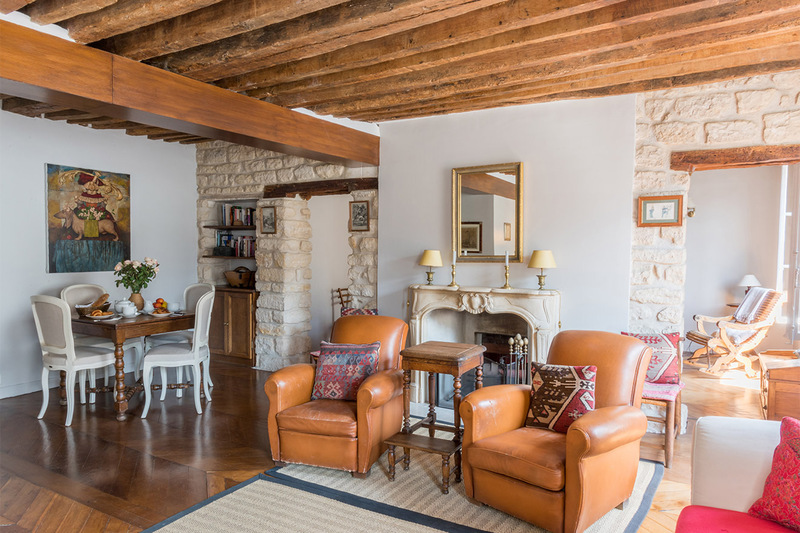 Relax in the evenings in the spacious living room or cozy den or enjoying dining at home in this stunning Parisian home. 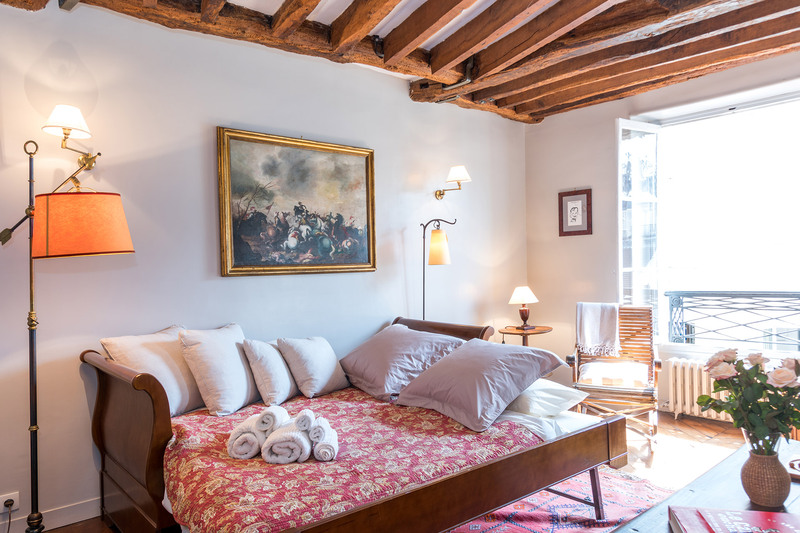 Guests fall in love with the marvelous location of the Dolcetto, near to Place Saint-Germain-des-Prés at the heart of the sought-after Saint-Germain neighborhood. 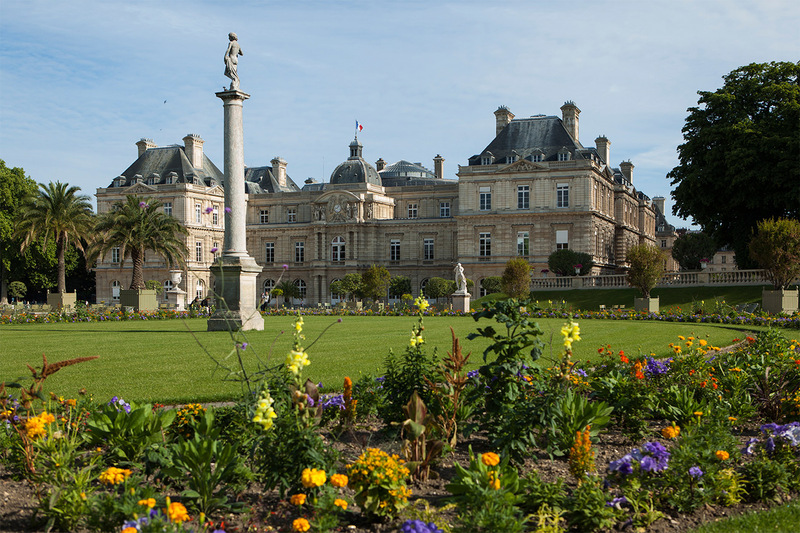 Walk to the Seine, Musée d'Orsay, fabulous shopping, the Luxembourg Gardens and simply cross the Seine to visit the Louvre Museum and see the sights on the Ile de la Cité and Ile Saint Louis islands. 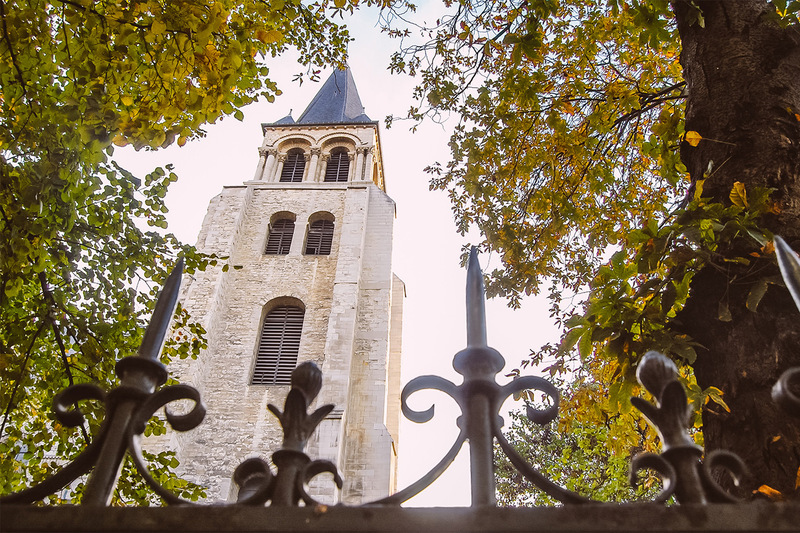 Discover the historic heart of Saint Germain during your stay at the Dolcetto! We hope you had a wonderful stay in our Dolcetto apartment. Please take a moment and click here to share a review of your experience with us. 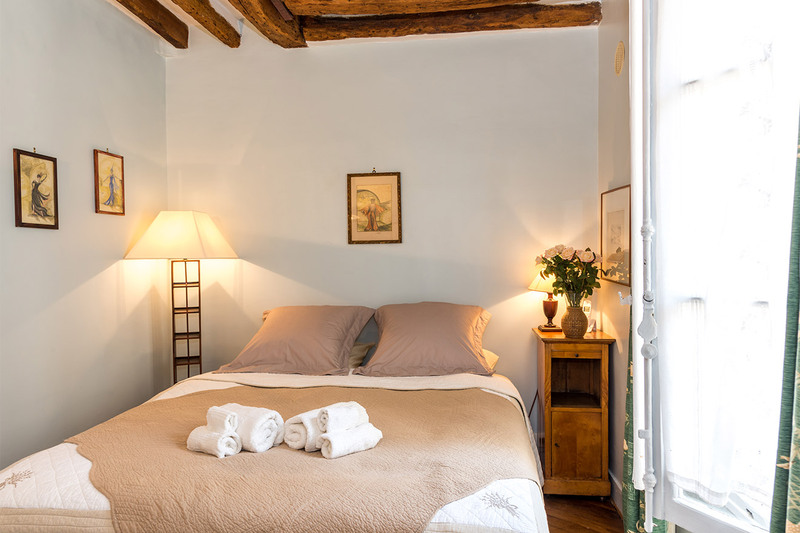 "I would jump at the chance to stay with Paris Perfect at the Dolcetto apartment again. It was wonderful in every way. 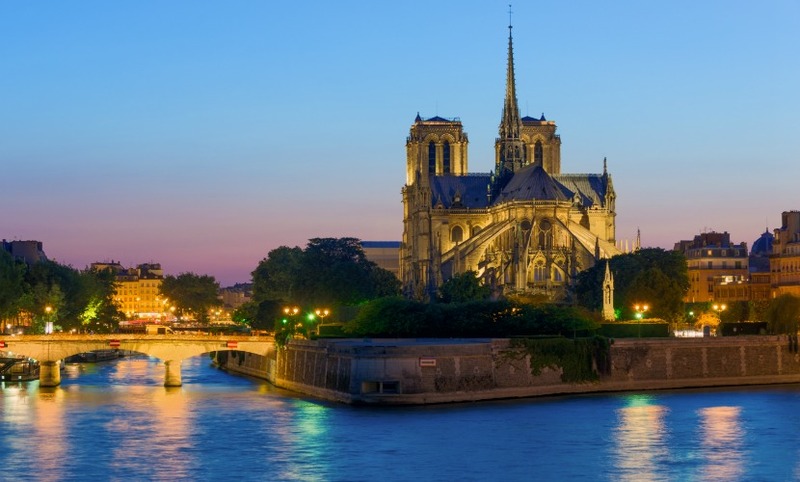 Paris Perfect was incredibly helpful in making our travel a success, from sending neighborhood information ahead of time to making special arrangements for an unusual situation we..."
"As usual, Paris Perfect hit it out of the park! Dolcetto was a great place to stay! Charming, quaint, comfortable. 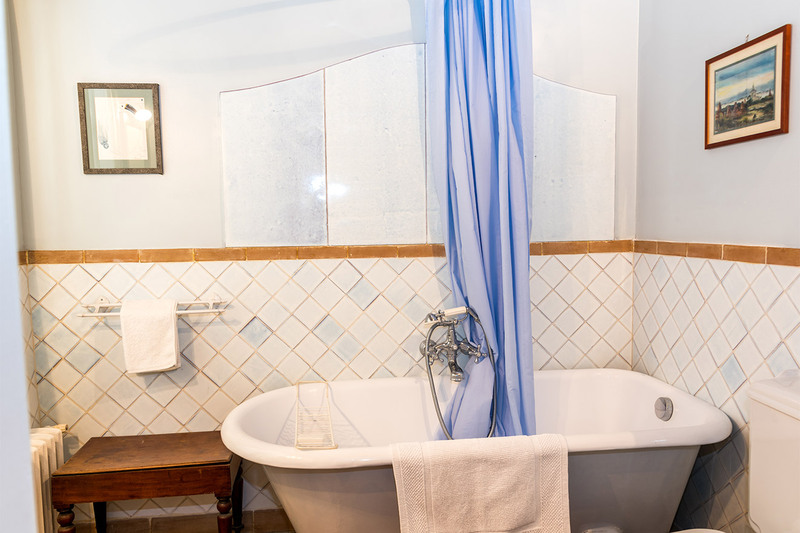 We were a little apprehensive that there was no stand-up shower in the bathroom but the clawfoot tub was perfectly fine. Definitely would stay here again!" As the photos show an old fashioned..."
"We chose this property for 3 ladies traveling together. The beds were comfortable, and the size of the apartment was perfect. The apartment is clean and will not disappoint. It is well equipped and they even had laundry soap for us, again thank you. 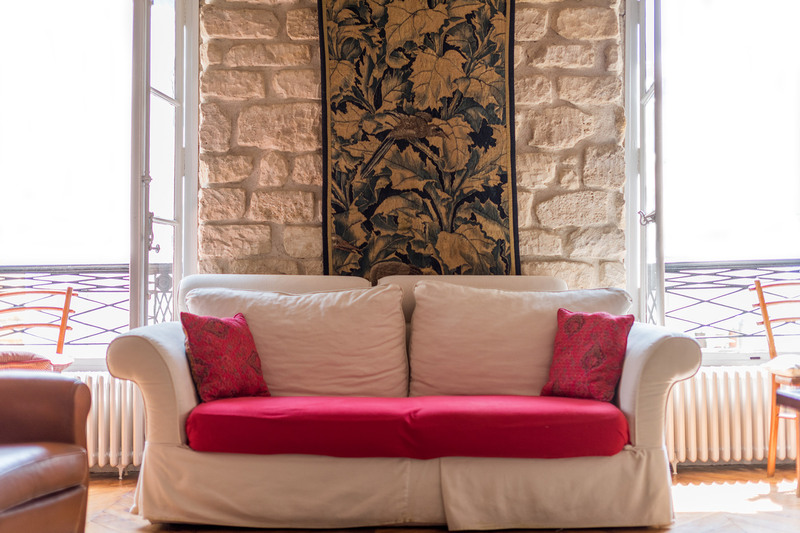 We didn't have to go searching for something..."
"I really enjoyed staying in the apartment on Rue du Dolcetto. It was a lovely place to come back to after a long day of exploring. The furniture was tasteful and very comfortable and there was enough space in the kitchen to cook or prepare an apéro. The bed was super comfortable. 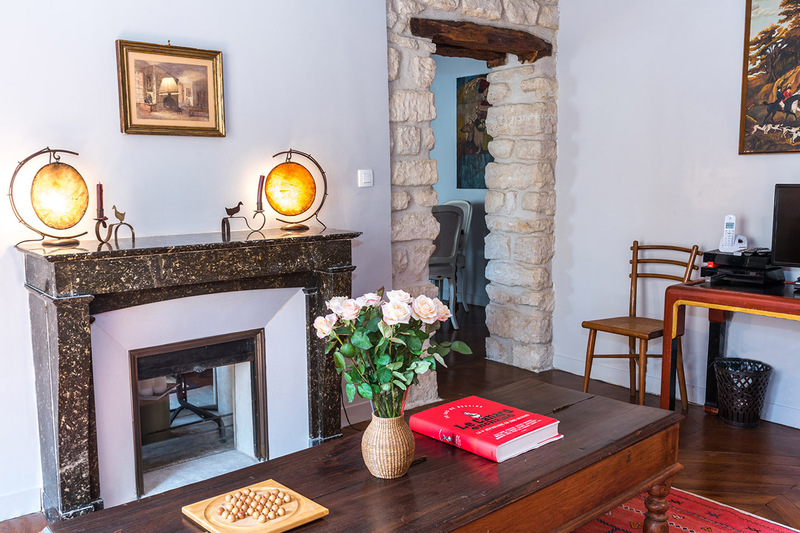 I loved..."
"Wonderful apartment in a wonderful arrondisement. Very nicely decorated,with comfortable living room & very comfortable beds. Nice size kitchen,large enough for cooking meals. 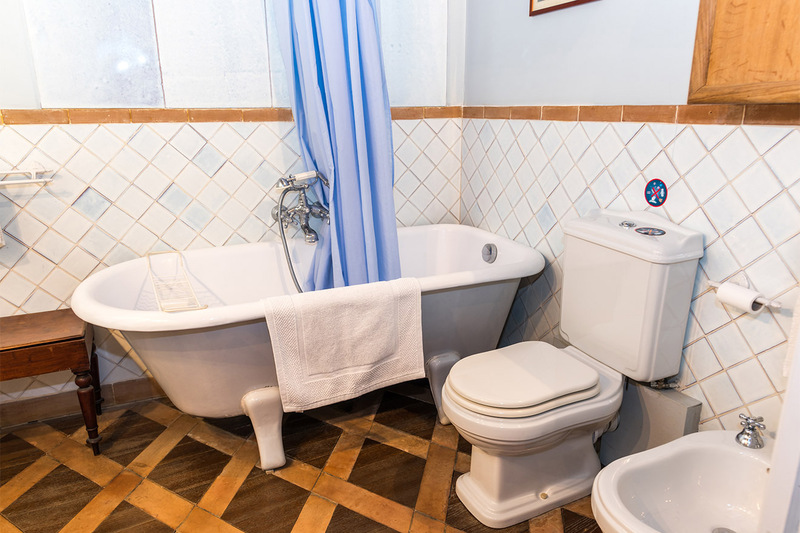 Large bathroom with a claw bathtub & hand held shower. Easy elevator to the 4th floor. Charming neighborhood with..."
"The apartment was wonderful and so was Jane!!" "What a perfectly beautiful apartment in a wonderful arrondisement! It is actually more lovely in person than it is in the photographs online. 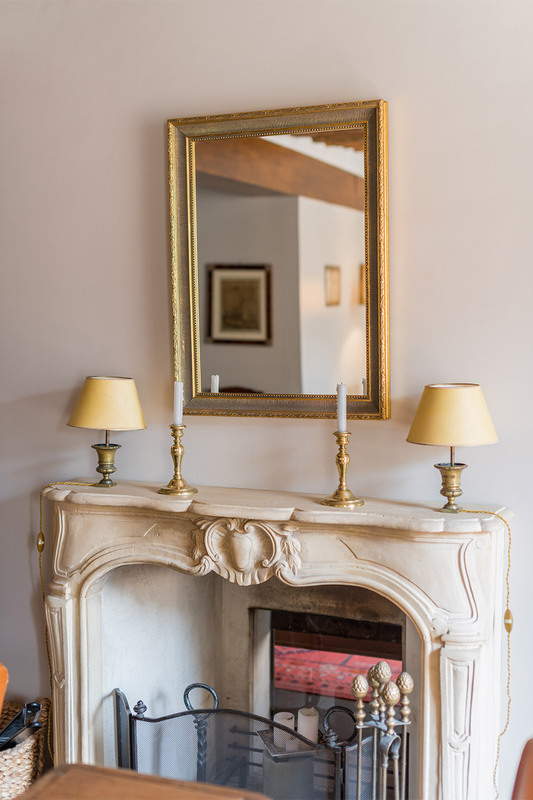 Warmly furnished with beautiful antiques, stonework walls in the living room, old windows that have old glass - you can see the flaws! 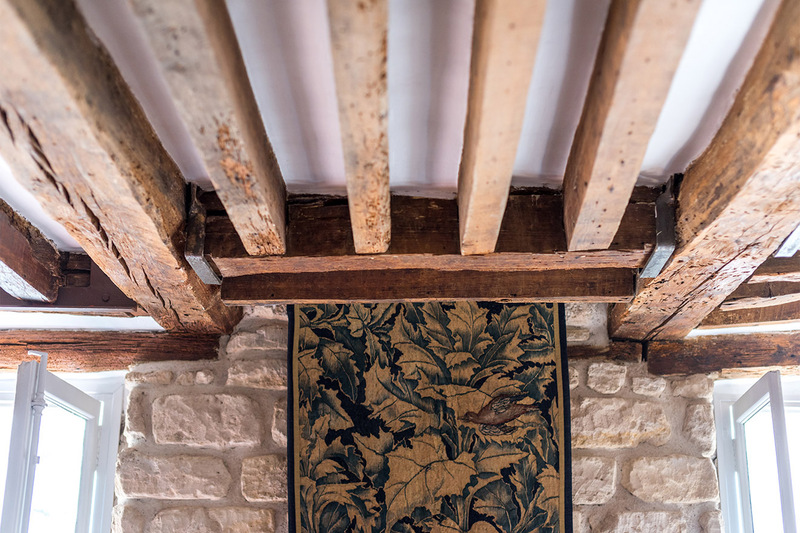 wooden beams on..."
"I have stayed at the apartment at 42 Rue du Dolcetto four times now. It felt like home the first time and now I am so happy to return. 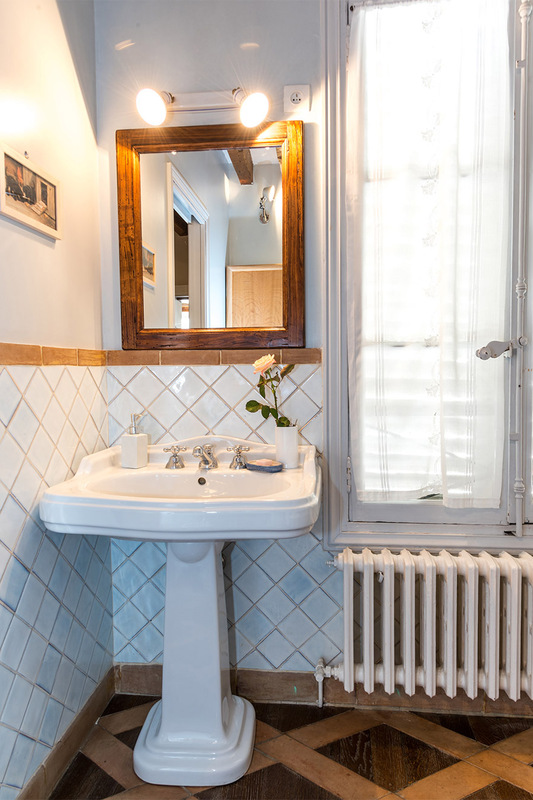 The location is in the midst of bustling St. Germain, steps away from a metro stop, but also peaceful and restful. Restaurants, food shops, boutiques are all around..."
"We had such an amazing time! This was the perfect home for our Paris adventure. We hope to be back again sometime! The heat works very well (January stay)." 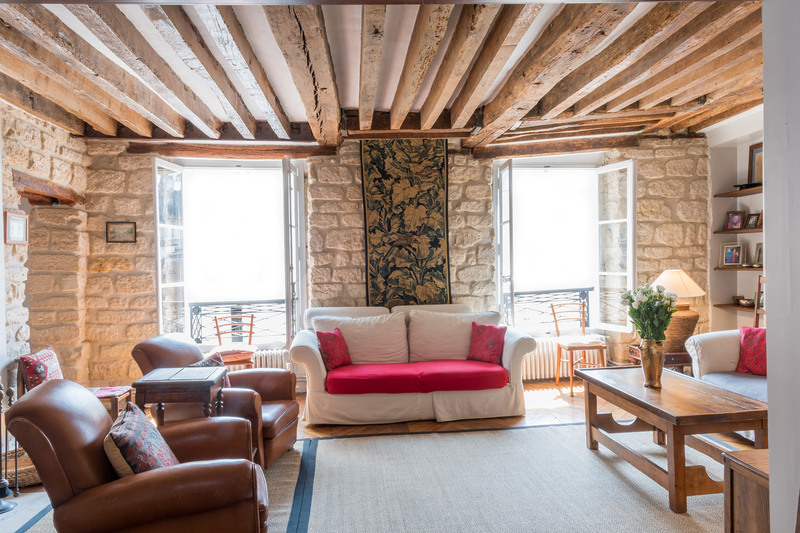 "Everything about my stay in the rue du Dolcetto flat was magical! 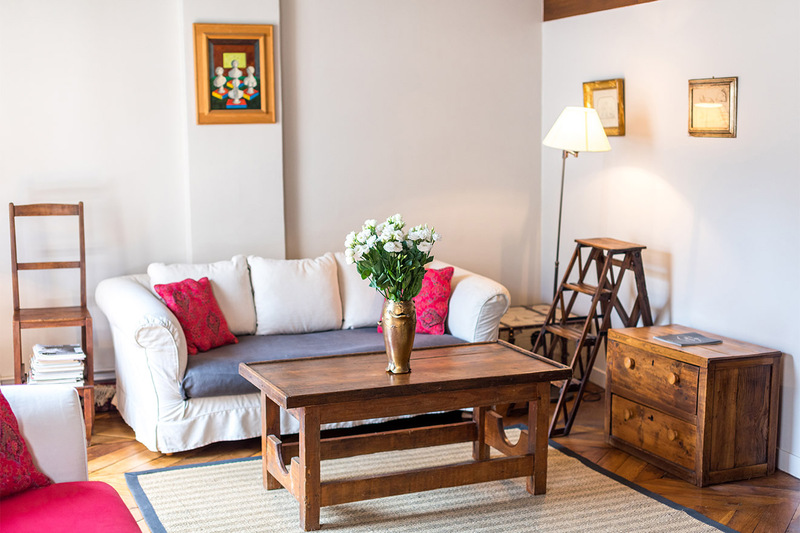 The apartment is spacious and comfortable and very charming. Although I was alone, the smaller sitting room would have comfortably accommodated a guest (I had hoped my sister might join me for a few days). The location is perfect..."
"Apartment is in a terrific, convenient location, and is very comfortable and well-equipped. There were lots of lamps, and nice touches such as a clothes drying rack and grocery cart. Particularly liked being met by the agent and given an overview of the apartment, entry codes, etc.... The only..."
"Apartment has been fabulous, even with the heavy-footed resident overhead who, from time-to-time, seems to move furniture late at night...not every day, just some. The apartment is in great shape and very comfortable. The "shower on a stick" has been a bit of challenge, however. The..."
"We enjoyed our stay at Dolcetto. The apartment was large for the 2 of us and had everything we could want (fortunately we came after the summer heat as there is no a/c). The area has tons of restaurants and we walked to the musee d'Orsay, st. chappelle, etc. We really fely at home." 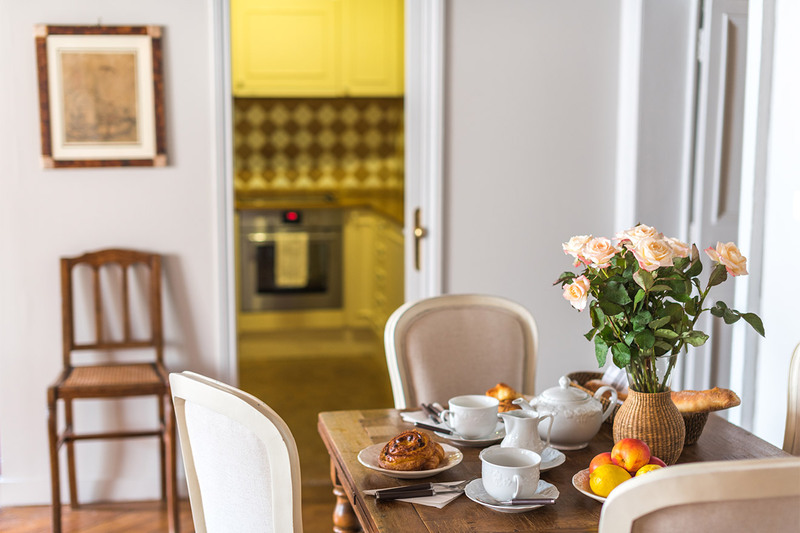 "We loved the Dolcetto - amazing apartment and the location could not be beat! The driver recommended by Paris Perfect (Victor Cabs) was exceptional and Jane that met us at the apartment was equally wonderful at getting us acquainted with the apartment and location. The apartment had everything..."
"The apartment is very cute and we had so much from our stay here. 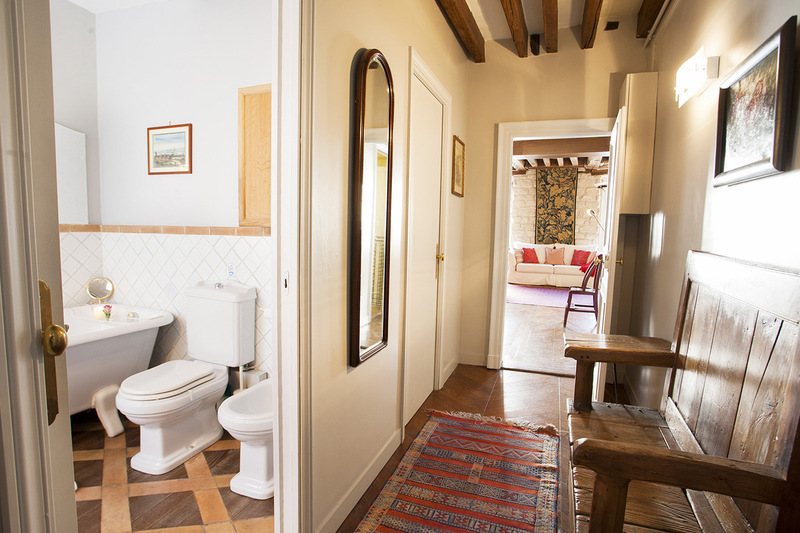 We also loved the beautiful beans, wood floors, and stone floors, the lovely courtyard and furnishings. Good location with convenient bakeries, cafes and restaurants We will come again soon!" 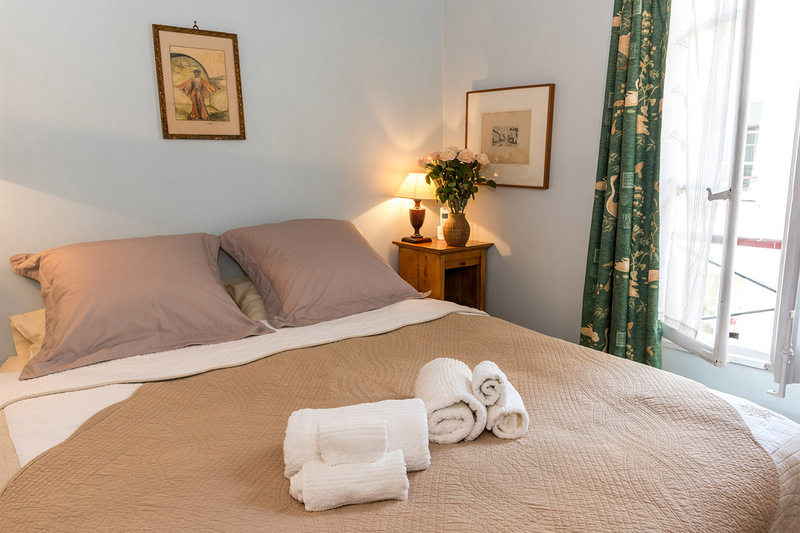 "My daughter and I had a lovely stay a that Dolcetto apartment. Jane (our greeter) was prompt and helpful. The apartment was exactly as described on the website. 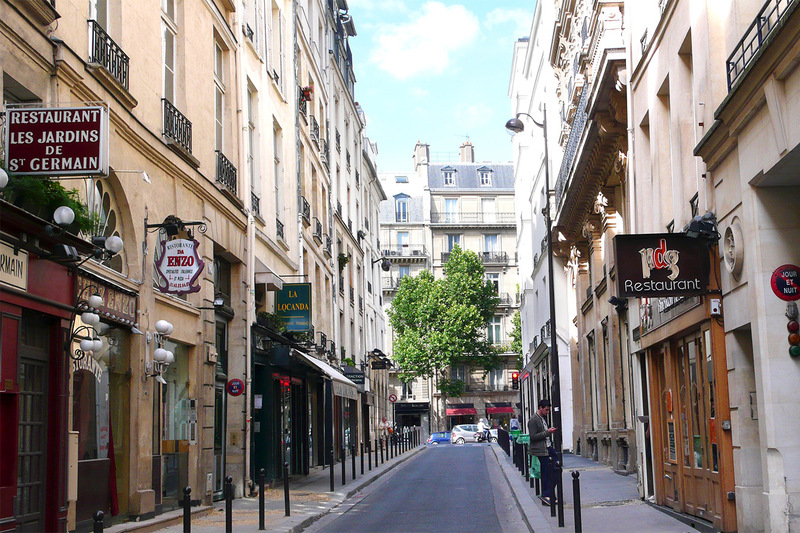 Rue de Dolcetto is a small street that proved to be quiet and charming with great shops as soon as you exit the apartment. We were within..."
"We had a fantastic time in Paris and we found this apartment perfect for our needs. We definitely want to come back and for longer next time. Thanks Jane for your kind greeting. Best wishes to all future guests." "We had a wonderful 7days stay. The apartment is charming and well located. The history of the street and the amzing city made it a visit to remember." 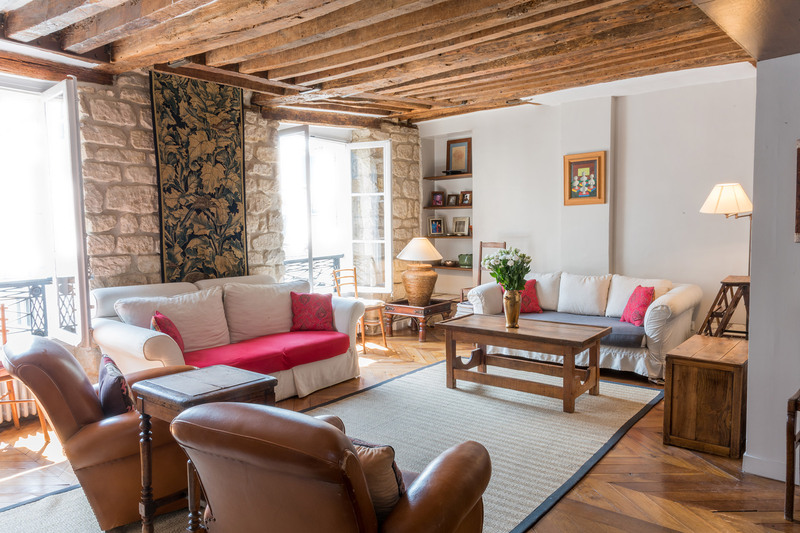 "We loved the location of the apartment on rue Dolcetto. It allowed us to easily explore many sights and areas of Paris on foot or by taking the Metro. The apartment was roomy and inviting, and certainly a huge improvement to the small hotel rooms we have stayed in previously. 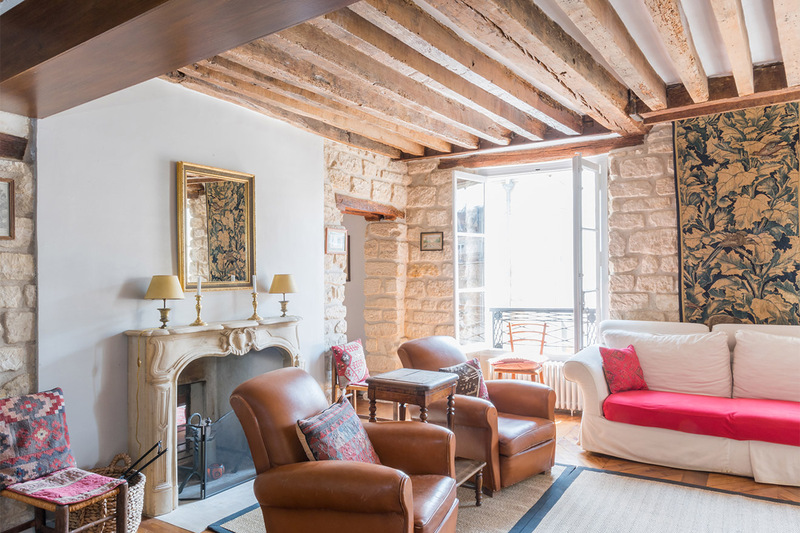 We appreciated..."
"We have had a fantastic 10 nights in Paris and having the Rue du Dolcetto to return to each evening has been a wonderful way to unwind. Lovely apartment, situated in a beautiful part of a gorgeous city. So much more comfortable than a hotel room. So much space! 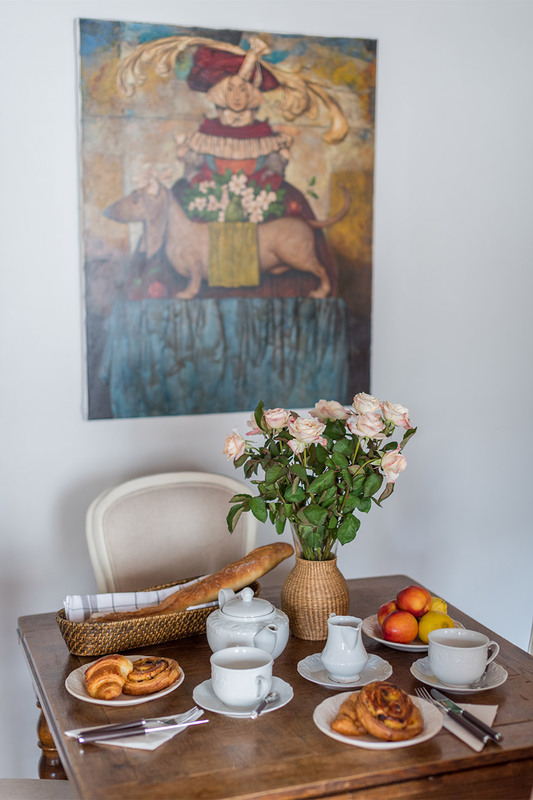 Everything we need is close by and..."
"This was our first trip to Paris and we just loved the Dolcetto apartment. We were 4 adults and we found the apartment to be spacious and inviting. 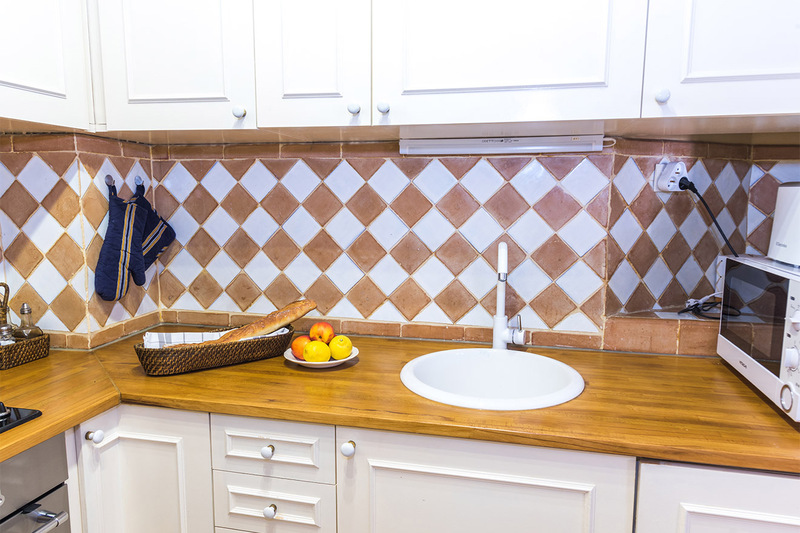 I love to cook and was very pleased with the well equipped kitchen. I will recommend this apartment and Paris Perfect to all my friends." 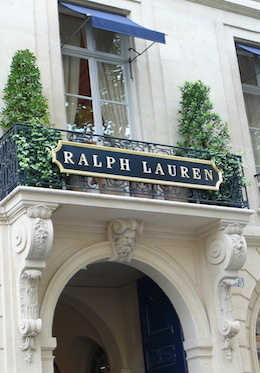 "This was my third Paris Perfect stay in the same St. Germain apartment. As usual, all was ready and clean and a welcome basket of goodies was on the table. Paris Perfect staff was thoroughly professional as well as charming and was available for advice at a moments notice throughout my stay. 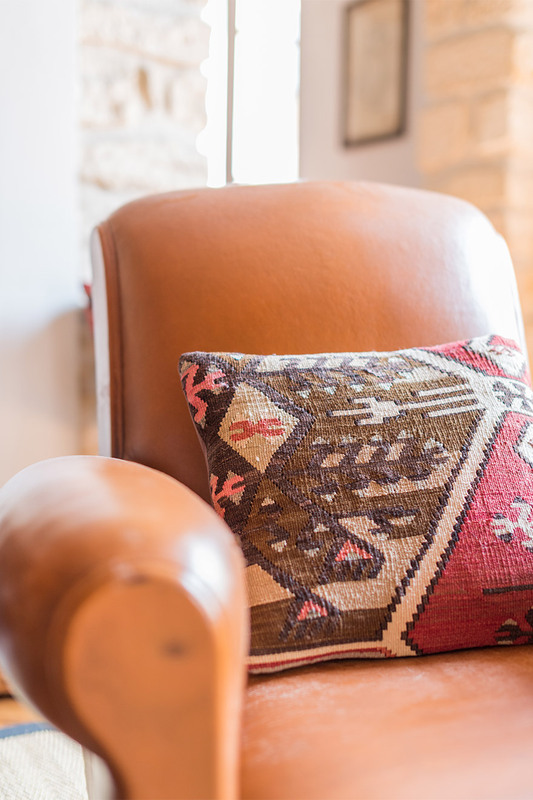 Paris..."
"The Dolcetto apartment has a bit of a rustic feel with the exposed beams and rock walls which I really enjoyed. It is spacious and perfect for a family. 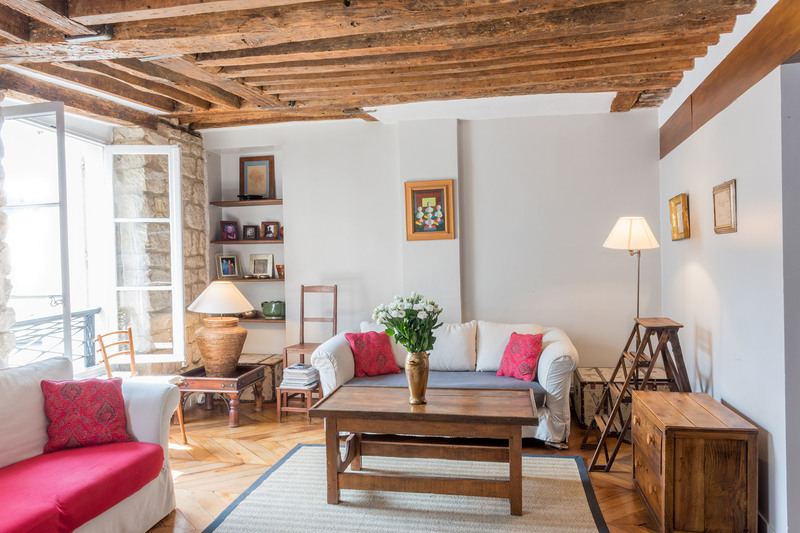 It is in a great location in Saint Germain with many many shopping opportunities and very centrally located to the major sites. The team at Paris..."
"We loved the Colombard with its eclectic mix of choice furnishings, shaker-esque beams and homely wood paneling. Its clever design, attention to detail and the well-appointed kitchen made it our welcome haven from the bustling metropolis. 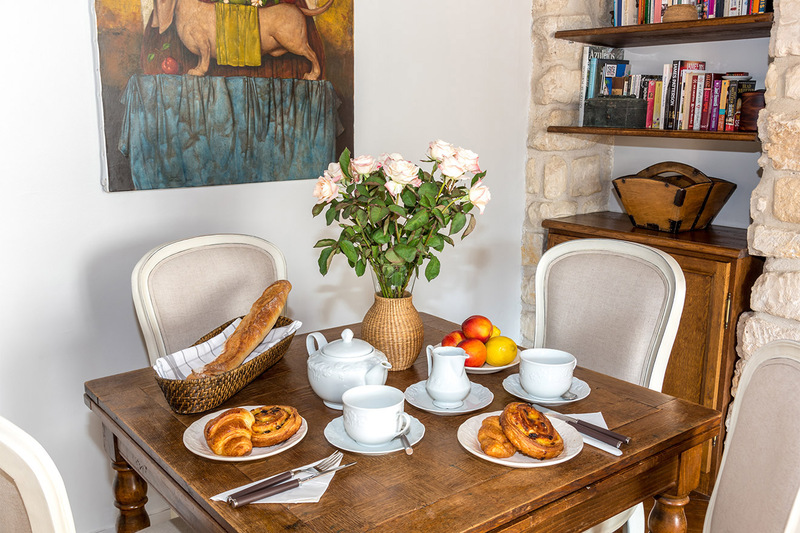 We woke to the bells of Notre Dame and browsed in the world..."
"This apartment could not have been better than what we had in mind....warm, inviting, rustic, comfortable. We had guests over a couple of times and they loved the atmosphere. who wouldn't. Although we would have preferred a complete shower, it wouldn't keep us from staying here again. The charm far..."
"We had a "Perfect" stay in Paris and couldn't have had a more "Perfect" apartment. The apartment exuded ambiance, warmth, charm and so much more. 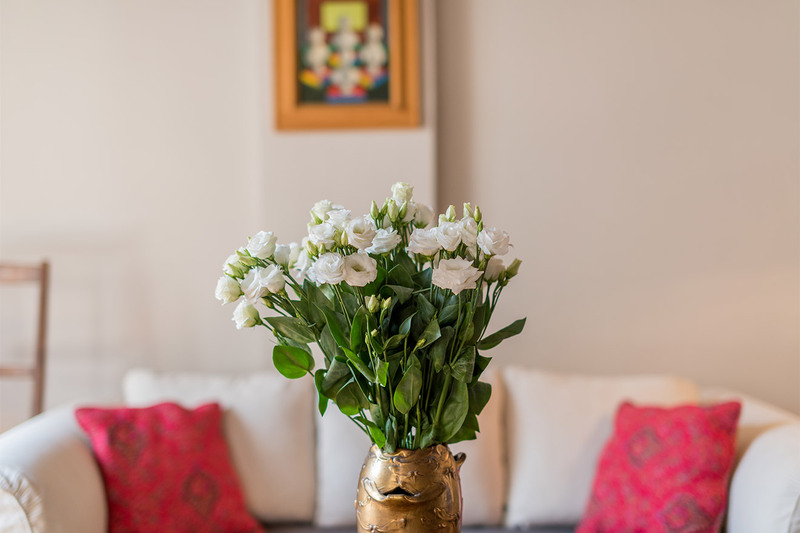 We had guests over twice and both parties exclaimed how lovely and charming the place is. We would stay there again for sure. ..."
"The first thing when considering a rental is: can I trust the rental company given the money involved and the downside if they don't do their job. Paris Made Perfect was great in this regard. All of the commitments they made, they fulfilled. Second, the Dolcetto apartment in Paris was wonderful. ..."
"The terrible terrorists event happened about a week before our intended visit to celebrate our 25th Anniversary. Immediately Paris Perfect contacted us to assure us to make the trip. We are very glad we did. It was an especially poignant time to be there. 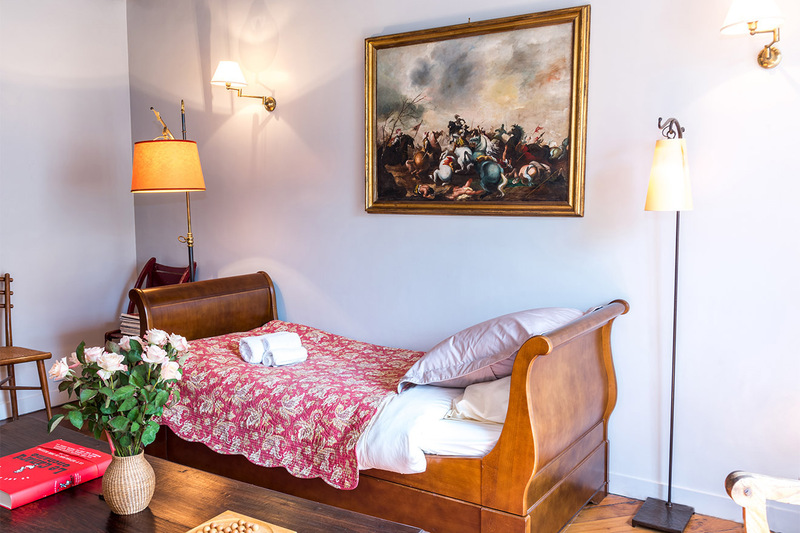 We felt safe, comfortable and welcome all..."
"As usual Paris Perfect did not disappoint! The Dolcetto apartment was perfectly charming! 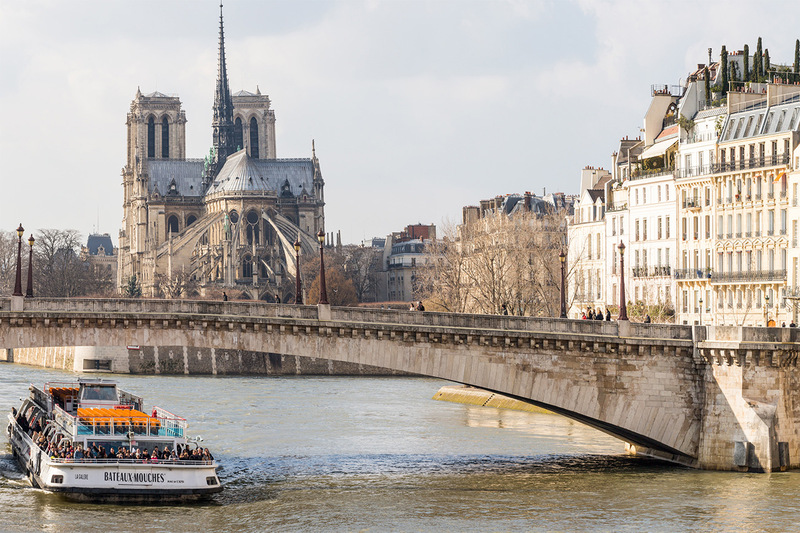 We loved the neighborhood, which was convenient to multiple Metro stations, excellent shopping and many iconic Paris sites. The apartment was had everything we needed and was really comfortable. We look..."
"As usual we had a wonderful time in Paris. The Dolcetto apartment was fabulous. So clean, warm an inviting. We felt totally at home and so grateful that you shared your home with us." 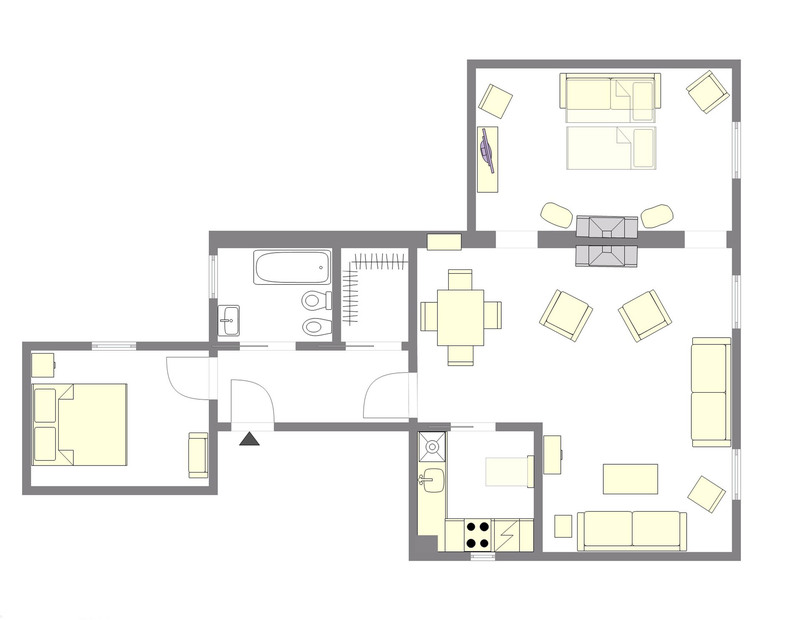 "This apartment was so perfect for the 4 of us! So comfortable with lots of room to spread out and relax. The location was fantastic and we so enjoyed all this neighborhood has to offer. Thanks so much to Lia and the Paris Perfect staff. We hope to return in the future." "Paris Perfect was especially helpful and responsive. The loveliness of the apartment and it perfect location speak for themselves. "Fantastic apartment in a wonderful location. We will be sure to recommend it to our friends and family. Thank you Jane and Lia for helping to make this vacation to remember. 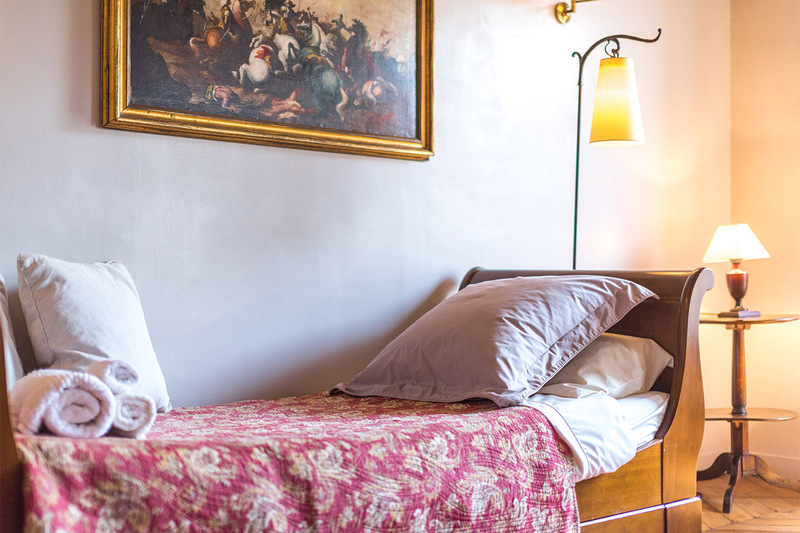 "Our stay at Dolcetto was perfect. It's a beautiful neighborhood with just the right amount of quiet and activity. The bakery down the street was perfect every morning for Croissants. 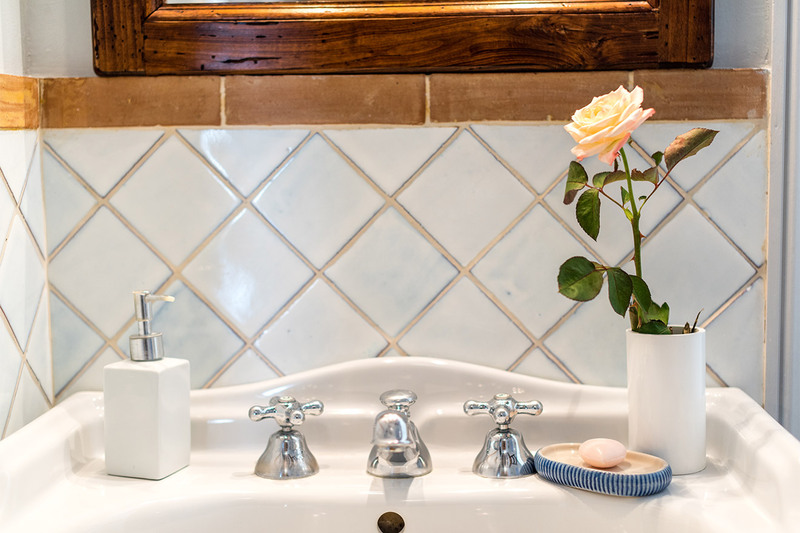 Eggs & Co. on Rue Bernard Palissy was wonderful, Au Sauvignon was the perfect and classic french cafe footsteps..."
"With no hesitation, I strongly recommend Paris Perfect to those wishing to enjoy Paris from a comfortable apartment. 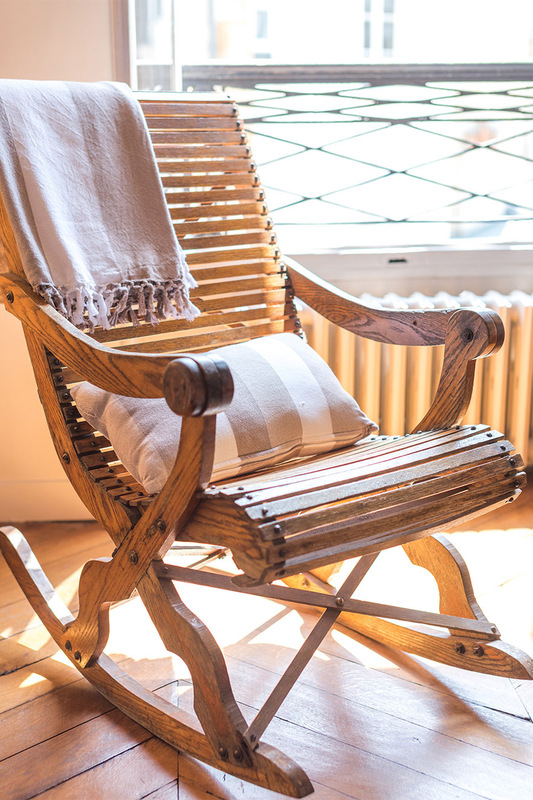 Not only are the properties well maintained and lovely and conveniently located, but the professionalism of the organization and its staff is exceptional. "Perfect" is..."
"This lovely apartment has made this trip particularly special over multiple trips over the course of 22 years. We have now abandoned the notion of a hotel room. To be able to spread out and live so comfortably has been a joy. The welcome basket provided by the hosts is much nicer than..."
"When we arrived we thought the place looked very comfortable. We should have spent a few more hours lounging around and not running around so much. Wouldn't stay anywhere else coming back. Very good location and our greeter was very helpful." "I loved staying here! The apt is really comfortable and it's my favourite location! Loved the sunny spacious living room! Lia was wonderful! Very helpful! I lost my luggage and she made it easy to coordinate delivery of them. She called them and took care of it for me. 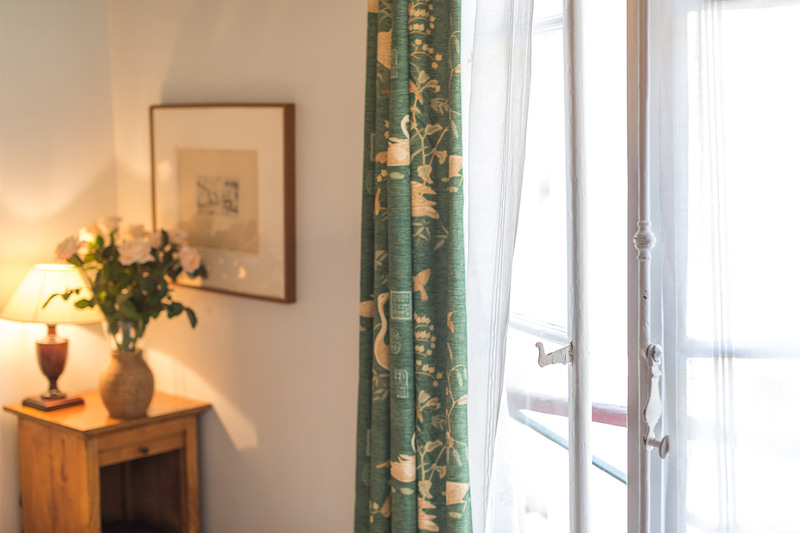 "We LOVED Paris and our stay in the Dolcetto apartment. The location was perfect for exploring and we enjoyed the comfort of morning coffee in the sunny living room. 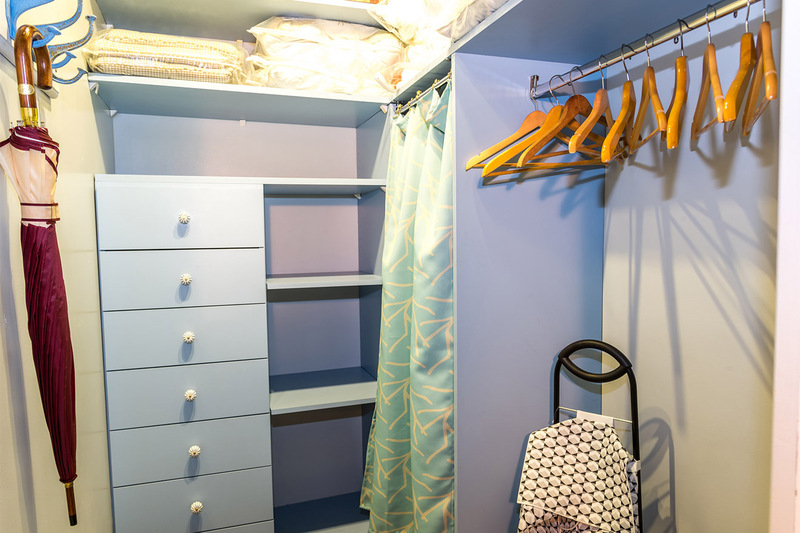 Everyone at Paris Perfect made things easy and accommodating. Lia was a warm welcome and full of great tips! 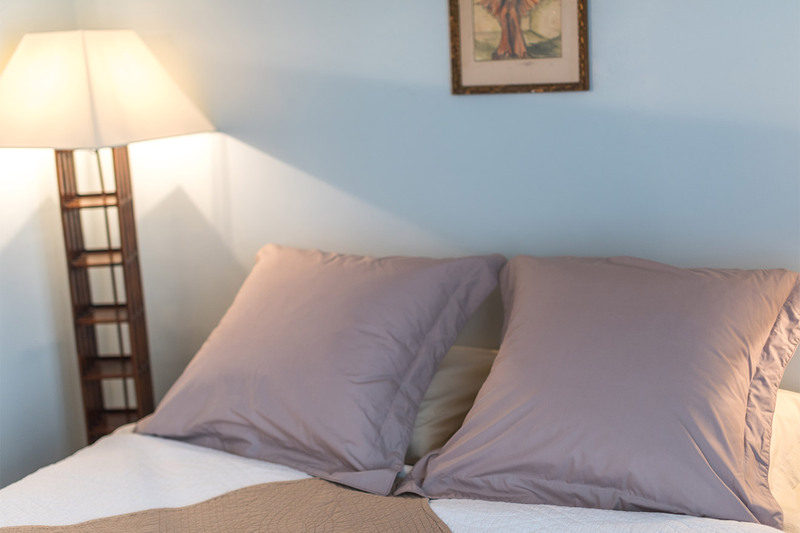 Thank you,..."
"Dolcetto Apartment in the 6th was comfortable, spacious, quiet, and felt so good to come home to. The large windows filled the rooms with natural sunlight and breeze. Dolcetto made my trip to Paris, Perfect! I highly recommend to all." 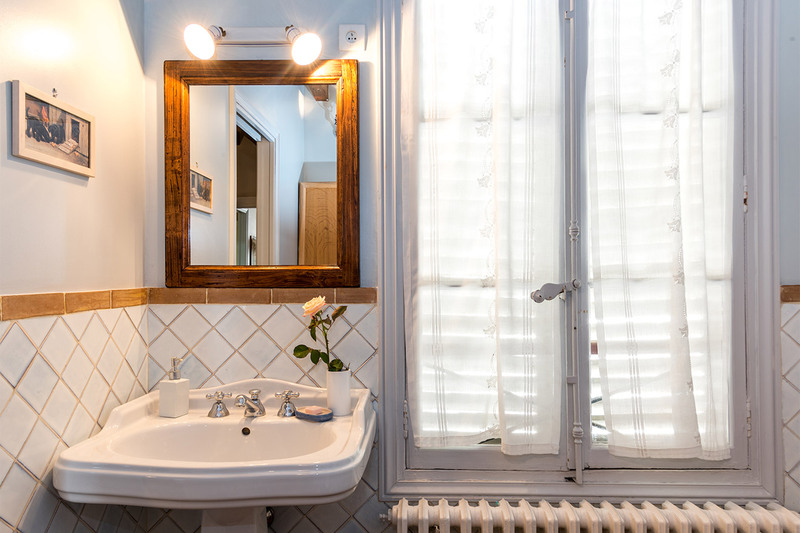 "The apartment was absolutely charming in every way, the kitchen was funrnished with everything anyone could need, the view out the front windows was classic Paris, but best of all, the location was central for lots of walking and shopping. 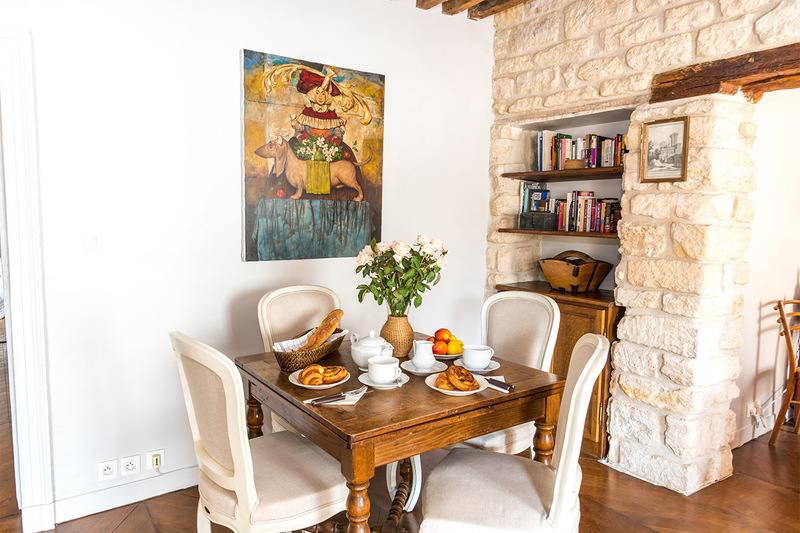 I would book this apartment again on any subsequent trip,..."
"Merci! Beautiful apartment, great location, good times had. 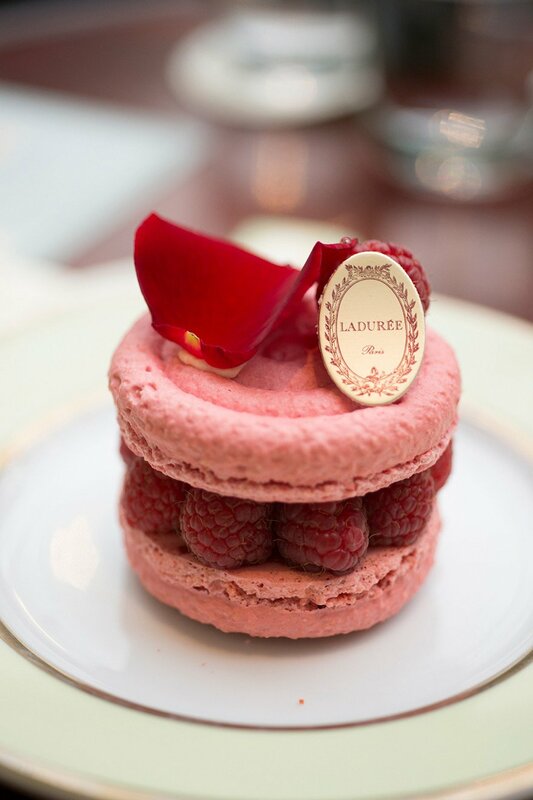 Coming home to Dolcetto each day made my entire Paris experience even more perfect." "Thank you so much for the lovely accommodation. Your home is cozy and charming. I find the beamed ceilings and beautiful wood floors enchanting! If you ever consider selling, please let me know!" "First time users of Parisperfect. Nothing short of phenomenal- location was perfect, apartment was a delight (and such a gem). Feels like coming home as opposed to being away from home. Support from staff is excellent as well: courteous and very responsive. Extremely pleasant and troublefree." Metro: Saint-Sulpice (2 min walk); Sèvres-Babylone (4 min walk); Mabillon (6 min walk). 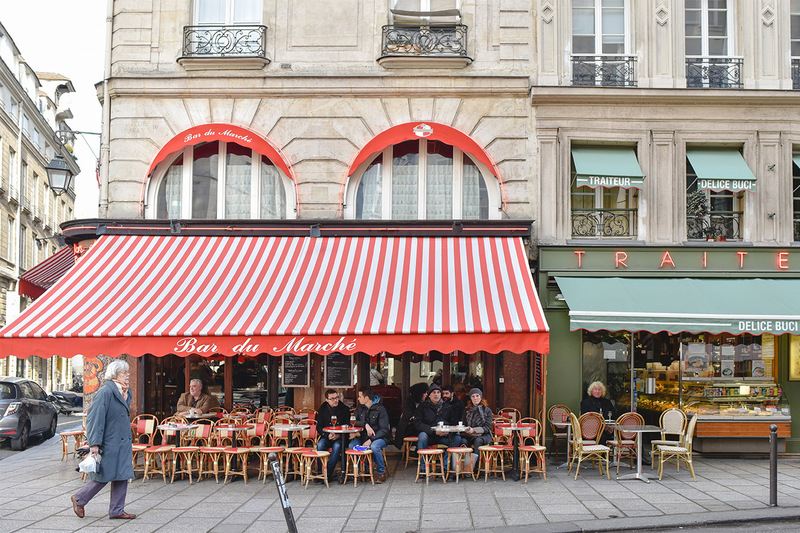 Bus (3 min walk): Catch one of the many buses that travel along Boulevard Saint-Germain. How can you say no to a treat like this?